How long will Floyd Mooney be able to keep it real? Has the White Famous TV show been cancelled or renewed for a second season on Showtime? The television vulture is watching all the latest cancellation and renewal news, so this page is the place to track the status of White Famous, season two. Bookmark it, or subscribe for the latest updates. Remember, the television vulture is watching your shows. Are you? Airing on the Showtime premium cable channel, White Famous stars Jay Pharoah, Utkarsh Ambudkar, Jacob Ming-Trent, Lonnie Chavis, and Cleopatra Coleman, with Jamie Foxx guest starring as himself. In the first season, Michael Rapaport, Stephen Tobolowsky, Jack Davenport, Kendrick Sampson, Lyndon Smith, Natalie Zea, and Meagan Good also guest star on the Showtime TV series. Inspired by Foxx’s early career, the story centers on a young, talented African-American comedian, Floyd Mooney (Pharoah). Floyd is on a serious professional upswing. His act is catching on so well, he’s starting to cross over. His fanbase is expanding so fast, he’s on the brink of becoming “white famous.” Now, Floyd faces a new challenge — maintaining his credibility without hindering the growth of his career. The first season of White Famous averaged a 0.09 rating in the 18-49 demographic and 263,000 viewers. Learn how White Famous stacks up against the other Showtime TV shows. On December 29, 2017, it was revealed that White Famous had been cancelled so there won’t be a second season. Could it be revived somehow? Stay tuned for further updates. 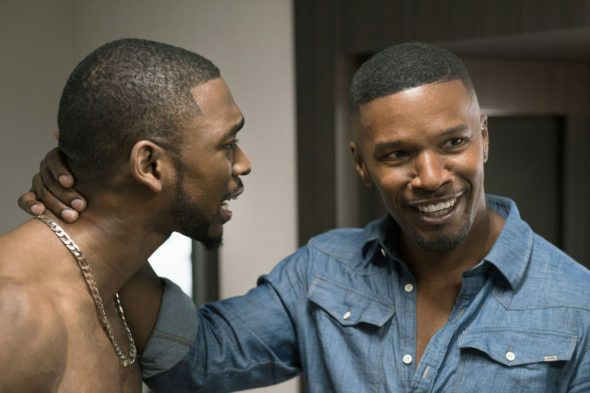 Will Showtime cancel or renew White Famous for season two? The series debuted with low ratings but some episodes have picked up. I suspect that the comedy show will be renewed for a second season but it could easily be cancelled. I’ll update this page with breaking developments. Subscribe for free updates on any White Famous cancellation or renewal news. 12/30/17 update: Showtime has cancelled White Famous so there won’t be a second season. Details here. TV show ratings are still important. Follow the White Famous weekly ups and downs. Find more White Famous TV series news or other Showtime TV show news. What do you think? Were you hoping that the White Famous TV show would be renewed for a second season? Are you sorry that Showtime has cancelled this TV series, instead? I watched all of Season 1 and I’m not gonna lie I hope it gets cancelled…Jay Pharoah just doesn’t do it for me as the lead…I did give it a full chance tho. This show was a real surprise to me, and I loved every scene of it. None of the cringeworthy moments comedies usually have. If Showtime do not renew it, they are mad.